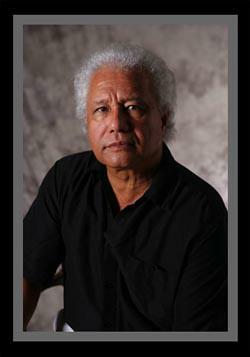 Samoan Professor Albert Wendt is a prolific writer and an exponent of Pacific literature (i.e. fiction, poetry and drama). His vast literary works span over 40 years documenting his diverse styles in writing throughout his essays, novels, plays, poems, short stories and film scripts. In the 1970’s, Wendt published essays which delved into the relationships between artist or writer, society and Pacific cultures. For example, ‘Towards a New Oceania’, originally published in Mana, Vol. 1, No. 1 (1976), highlighted the eras of the colonialist past whilst it explored the future of arts and education in the Pacific. In addition, two of his novels were produced into feature films and he has received numerous awards for his literary works. Amongst those awards, he was made a Companion of the New Zealand Order of Merit in 2001 and more recently he won the Commonwealth Writer’s Asia Pacific Region Prize in 2010. Over the years, he fashioned aspects of his family life as well as his indigenous perspectives into his fiction and poetry. He is a versatile international writer whose works have been described as making significant contributions to arguments over identity and indigenous agency from a non-metropolitan Pacific standpoint. Wendt was born in Apia, Western Samoa, in October 1939. On his father’s side he is of the Aiga Sa-Maualaivao of Malie and the Sa-Sao of Sapapali’i. On his mother’s side he is of Sa-Patu and Sa-Asi of Vaiala and Moata’a of the Vaimauga. On his grandfather Tuaopepe Tauilo’s side he is of the Aiga Sa-Tuaopepe and Sa-Tuala. Albert Wendt also has European connections, one of his great-grandmothers married a German trader and another, the British consul of the time. Wendt’s passion for producing literary works was undoubtedly shaped throughout his education and teaching career. At a glance, he was awarded one of nine government scholarships to study in New Zealand in 1953. He furthered his education which saw him graduate with a Master of Arts with honours in history in 1964. His Masters thesis was on the Mau Independence movement in Samoa. 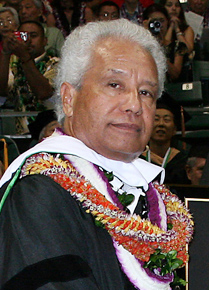 In 1969, he was appointed as the Principal of Samoa College at the age of 29 years. 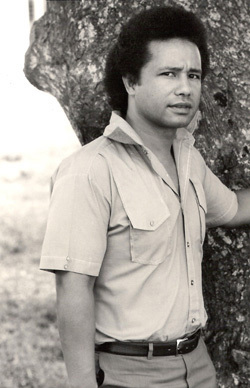 1974 saw him appointed as a senior lecturer in education at the University of the South Pacific (USP), Suva, Fiji and a consultant to the first South Pacific Regional Writers’ Workshop. The following year, he became the Coordinator, UNESCO Programme on Oceanic Cultures. Subsequently, in 1976 Wendt became the founding director of USP Centre. In 1981, he toured Japan for his Penguin edition of Leaves of the Banyan Tree. Wendt became the Chair of Pacific Literature at USP in the following year. He became the first Pacific professor of English at The University of Auckland, New Zealand in 1988. And in 1993, Wendt received an honorary doctorate from the University of Bourgogne, Dijon, France and an award of Order of Merit by the Goverment of Samoa. It was during the period of 1970’s – 1990’s where he produced most of his literary works. More specifically, in 1972 Professor Albert Wendt wrote two plays; Comes the Revolution for South Pacific Arts Festival, Suva, and The Contract for Schools’ Drama Festival, Apia. 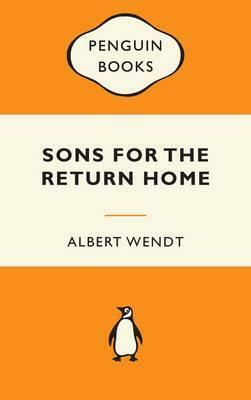 The following year, his first novel Sons for the Return Home was published which was later produced into a feature film (in 1977). In 1974, he edited booklets of poetry Some Modern Poets from the New Hebrides; Some Modern Poets from Samoa and Some Modern Poets from Fiji. He continued to edit for MANA publications (1974-1980) including poetry booklets by Konai Helu Thaman, Ruperake Petaia and more. 1976 saw the publication of his poetry collection Inside Us The Dead: Poems 1961-1974 and also landmark essays Towards a new Oceania and In a Stone Castle in the South Seas’ in the first and second issues of MANA Reivew. His second novel, Pouliuli was published in 1977 and a couple years later his 3rd novel Leaves of the Banyan Tree is published. In 1980, Leaves of the Banyan Tree won the New Zealand’s Wattie Book of the Year Award which was subsequently translated into German, Chines and Japanese. In that same year, he published his first major anthology of South Pacific writing, Lali. In 1984, his next collection of poetry Shaman of Visions was published. A couple of years later, a collection of short stories, Birth and Death of the Miracle Man. Furthermore, 1991 saw the publication of his next novel Ola and in the following year, Ola, won the Commonwealth Writer’s Prize. In 1992, he also published his next novel, Black Rainbow. 1995 saw the publication of his next collection of poetry Photographs and his second anthology of short stories, Nuanua: Pacific Writing in English since 1980. 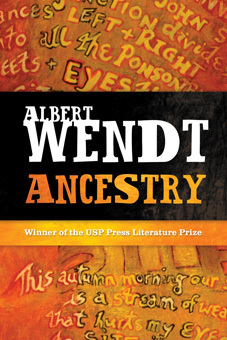 In 1999, The Best of Albert Wendt’s Short Stories was published. The Book of the Black Star, another collection of his poetry, was published in 2002 and he also edited an anthology of poems that was published that same year entitled Whetu Moana: A Collection of Pacific Poems. The Mango’s Kiss: a Novel was then published in 2003. The Songmaker’s Chair, a play, was written in 2004. 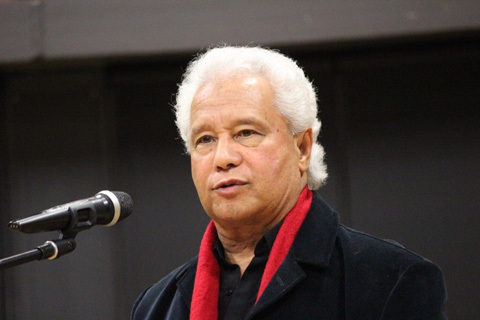 In 2010, he co-edited an anthology of poetry entitled Mauri Ola: Contemporary Polynesian Poems in English (Whetu Moana II). More recently, he launched two new books, Ancestry (collection of short stories) and From Mānoa to a Ponsonby Garden (collectiong of poetry). 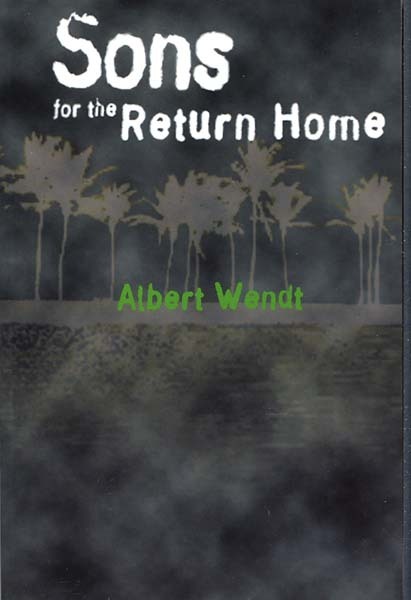 With the recent release (only a few weeks ago) of his latest collection of short stories, Ancestry and his latest collection of poetry, From Mānoa to a Ponsonby Garden, I am honoured to have been provided with an opportunity to interview Professor Albert Wendt about his new books and more. This opportunity was made possible by his niece Lani Wendt Young (who is also an Author). A special thanks goes out to Lani Wendt Young. I am truly grateful! Please note: MP = Maryanne Pale and AW = Albert Wendt. Enjoy the interview! MP: Thank you Albert Wendt for your time. I am honoured to be provided with an opportunity to interview you. 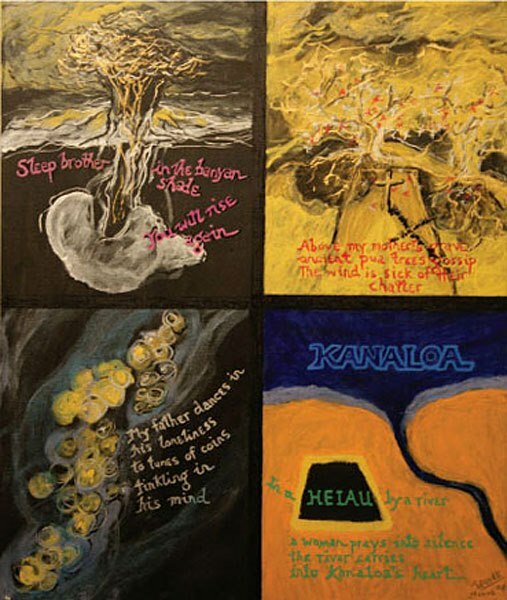 A few weeks ago, you launched two new books published by Huia publishers; a collection of short stories, Ancestry, and a collection of poetry, From Mānoa to a Ponsonby Garden. Let’s start with your latest collection of short stories. What was the inspiration behind your book Ancestry? AW: Well, I’ve always written short stories on and off during my life as a writer. There are fourteen stories in the collection Ancestry. Only a few of them were written earlier than 2012. Most were written in 2012 in one intense period of compulsive writing. I couldn’t stop writing them and wrote day and night – I slept of course – until they were all written. I hit a rich vein of ore and just mined it until it ran out. I don’t often hit creative periods like this. So I was very fortunate. Many of the stories are related to one another. They’re set in New Zealand, Samoa, and Hawaii mainly. And are about people in the Samoan and Pakeha middleclass – mainly successful: university teachers and students, architects, accountants etc and their families. It looks at love and culture and people trying to survive in sometimes very trying circumstances. The stories are about Samoans who were born and raised outside Samoa, and Palagi. The stories continue my exploration of the themes I’ve been exploring all these years. MP: It sounds wonderful and I look forward to reading it soon. In saying that, I have a copy of your latest collection of poetry, From Mānoa to a Ponsonby Garden, which is your 5th collection of poetry to be exact. I absolutely love it! The title of the book is indicative of the poems that you have written in this collection. Can you comment on this book please? AW: Yes, From Mānoa To A Ponsonby Garden is called that because they contain poems which I wrote while Reina [his partner] and I were living and working in Hawaii from 2004 to 2008, and 40 poems which I’ve written since our return to New Zealand, and which focus on our garden in Ponsonby where we live. We lived in the beautiful Mānoa Valley just behind the University of Hawaii where we worked. Whenever I shift into a new place and country I try to write myself into and out of that country. So the Hawaii poems came out of that. The Ponsonby garden poems came out of watching Reina gardening. I decided to write some poems describing what happened in our garden and in our home over the cycle of the seasons. I also decided to confine the poems to 14 lines each and see what kinds of poems resulted. The collection was the result. MP: That is delightful indeed. What I love about your latest collection of poetry is that it documents a period of time that both you and Reina have shared in Hawai’i and New Zealand with references made to your family members, friends, your cat Mānoa and the Tsunami which devasted your homeland Samoa. This collection of poetry provides a personal insight into your world for that particulr point in time. It’s special. I am hugely inspired by your poetry work. 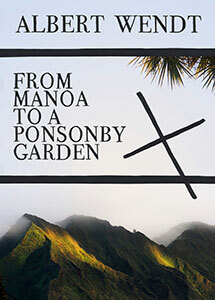 Would you like to share a poem from your latest collection From Mānoa to a Ponsonby Garden? AW: Yes, I would love to share a poem. This poem inspired me to write the rest of the Garden poem series of 40 poems in my latest collection of poetry, From Mānoa to a Ponsonby Garden. AW: Thank you. Uncanny how the mind, the imagination, is set alight by an image, a sound, a touch, an event, a combination of these, and when you start writing it down that very process takes you into what becomes the poem or the story or the novel! It’s wonderful! It can also be painful and difficult trying to shape the language to express that because language is only a substitute for the experience. I love revising my work, and that makes the process enjoyable. MP: Absolutely, I love how you pointed out that “language is only a substitute for the experience”. At the launch of Ancestry and From Mānoa to a Ponsonby Garden, Poets Dr Karlo Mila, Dr Selina Tusitala Marsh and Serie Barford shared their responses that they had written about these two books. Please comment on this. AW: Karlo’s, Selina’s and Serie’s responses to my new books, which they performed at the launch of those books, I found very moving and uplifting and humbling. I taught Karlo and Selina. Serie, I’ve known for a long time. I’ve followed their careers as writers with huge admiration. I love their poetry – and have been influenced by it. They are now my teachers! I’ve been privileged to have brilliant people like them as students and friends. MP: Wow! That is fantastic! I’ve had the pleasure in meeting all three wonderful women and their work I greatly admire. It is an honour to have you acknowledge them now as your teachers. Since the early 1970’s, you have produced numerous essays, novels, plays, collections of poetry, collections of short stories, film scripts and visual artwork. What are the noticeable changes that you have seen in your literary works over the years? AW: Well, early in my writing life I decided that I was going to try all the different genres in literature. A challenge, a huge one! That’s why I’ve written poetry, stories, essays, plays, novels, film-scripts, and so forth. And learning one genre has greatly influenced my writing of other genres. Most of my writing though has been in fiction and poetry. I studied art at Ardmore Teachers’ College and studied it with artists like Selwyn Muru and Sandy Adsett who have become some of our country’s major artists. But after Ardmore I decided to concentrate on my writing and did not do much painting for over forty years. Then in 2000 the urge to do art again became overwhelming, so I’ve been doing that since then, and had my first solo exhibition of paintings in Honolulu in 2008. Since returning to NZ I’ve had another solo exhibition and joint exhibitions with other Pasefika artists like Momoe Malietoa von Reiche. 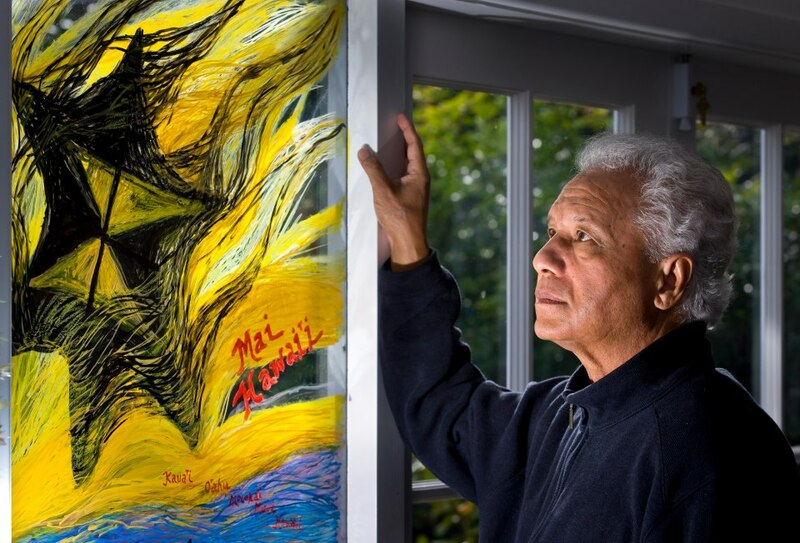 I was also in the MAORI ART Market a couple of years ago. Once I’m in the zone painting, I’m in another incredibly healing world! MP: It is interesting to note that learning one genre of writing has influenced you in other genres. You mentioned that you had your first solo exhibition of paintings in Honolulu, 2008. That is awesome! What inspires you to paint and will we see an upcoming exhibition in the near future? AW: I’m getting ready to draw and paint again. I’ll do that after I finish my latest novel. I now write for a few months and then paint for a few months. I can’t do both together: too demanding and tiring. I paint because I can’t stop. Same with my writing. At the end of each painting period, I have an exhibition or get some of my work into joint exhibitions. I paint poems! My whole book of poems, The Book of the Black Star, are drawn black and white drawings. Most of my multi-coloured paintings are poems. MP: Wow! I love how you have stated “I paint poems!”. It’s remarkable that your poetry is translated into your paintings. It is also great to hear that you are also working on a new novel! Before we get into that, in 1973 your very first novel Sons for the Return of Home was described as having an unquestionable rage against racial discrimination. Your novel tells a story of a young Samoan man who migrated with his family from Samoa to New Zealand in the 1960’s and this young man experiences the complex nature of love, freedom, and racism. It was an instant best seller going to 6 printings, the first selling out and the first 5 selling at 12,000 copies. The book was included on the English literature syllabus of the University of South Pacific. The novel’s success was further indicated in the fact that it was selected by the NZ Film commission to be turned into a film. Can you take us back to how you were feeling about all of this immense interest in Sons for the Return of Home. Was there an expectation on your part that your very first novel was going to reach such successful heights? AW: Sons was and is a huge success. I never expected that but was glad it launched my writing career in a big way. And the interest was not only in my work and Samoa and the Pacific but also in the work of other Pacific and indigenous writers and artists. It also made it easier to get my later work published. It’s a very angry novel written by a very young and angry Albert Wendt. And it struck a deep chord with indigenous peoples and young readers because I think it said what they were feeling and seeing. The latest edition of Sons, the Penguin Books one, just came out two years ago. It’s wonderful that Sons has been in print since 1973. Most novels go out of print after a year or so. MP: That is remarkable that Sons for the Return Home is still in the publishing rounds. Congratulations! You have been writing for over 40 years and that is incredible! What is it about writing that you love? AW: Well, I continue to write because I can’t stop doing it. I also love exploring the potential of language which is only a substitute for experience. Using and controlling language is very difficult – it is like water running through your hands. The process of writing for me is also healing and it takes me out of myself. It is also one thing I think I’m now good at. I’m not much good at anything else. MP: What a humble response indeed! There are many Pacific writers who have worked under your leadership, teaching and guidance. A few of them have been guests on my blog and they have spoken highly of you. This immediately places you in a position of positive influence and inspiration. How does this make you feel? AW: Well, I’ve been described as a catalyst for other writers and artists. I was the only Pacific writer and professor for a while, and my work, over the years, has been taught in schools and so forth, thus influencing lots of students and readers. Most times I feel good that I’ve done that, that I’ve inspired and influenced others. Sometimes I also get flack from people who don’t like my work – that’s their choice, though. MP: Thank you for sharing that. Generally speaking, when a Pacific person excels in their chosen field of interest and/or profession, responsibility is assumed upon the individual to carry their family name, the village that they come from (in the Pacific Island nations) and the Pacific community at large. What would your advice be for young Pacific writers who dare to express their work in such a way that it may, as you have put it, ‘get flack from people’ who may not like their work? AW: Just express what you want to express, and take the consequences and handle it honestly. Don’t be afraid to write – you will offend some people. Be true to your beliefs and perceptions. MP: So why do you think it is important for Pacific people to tell their/our stories in the form of writing and the arts? AW: We need to write, paint, sculpt, weave, dance, sing, and think ourselves into existence. For too long other people have done it for us – and they’ve usually stereotyped us, or created versions of us that embody their own hang-ups and beliefs and prejudices about us. So we have to write our own stories! MP: I love that! 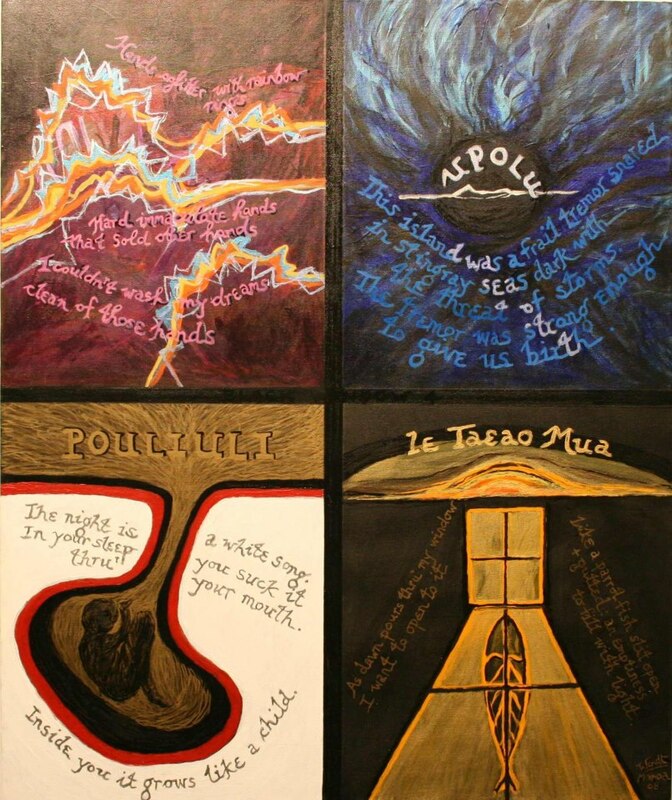 In your writings, you identify and explore the traditional Samoan lore such as the concept of va (space), itu (sides – the co-existing clashing and complentary aspects of phenomena) and the tatau (tattoo – a sign of belonging, identity, textuality, performance and more). Please comment on this. AW: Well, to understand Samoa and where I’ve come from, I’ve researched the pre-Palagi history and culture of Samoa. I wasn’t taught any of that until I researched it myself. Our ancient religion and philosophies were outlawed by the colonisers, so today most of our people do not know anything about those. I use my fiction and poetry to explore and re-instate those for readers to learn and read about them. We trace all that back to our ancient atua. Our gafa/genealogies go back to the atua. So it is important that our young people learn about those. It is basic to who and what they are. We need to continue exploring our ancient past and beliefs in order to be able to live securely in the present. That’s what I believe. I hope that’s what my books say. MP: Indeed your books do and I think what you’ve expressed is significant because you have influenced so many Pacific writers to take pride in their cultural identity and to further incorporate that sense of pride in their works. Please take us back to a time prior to your first publication, what literary works and/or who were the people that inspired you to pursue a path in writing? AW: Well, since I was five, I’ve been a compulsive reader. I read like I need air! So from the Bible, the only text in my family when I was a boy, I’ve read and read and read and continue to do so. So I’ve been influenced by many many writers and literatures. Also by film and television because I am a movie addict! If you want to write you have to read and read other writers, So today I’m influenced by writers younger than me. MP: Wow! Having a passion for reading at such a young age has definitely carved an extraordinary path for you. What are your thoughts on the new generations of writers who are coming to the fore? AW: New writers, like all writers, should passionately pursue their urge to write, in their own individual ways and voices and by doing that, they will develop their own voices and worlds. They will add to our ever changing versions of ourselves, our worlds and to our understandings of ourselves. MP: That is very interesting. Have your family members (immediate and/or extended) followed in your footsteps and pursued a path in creative writing and/or the arts? AW: My niece Lani Wendt-Young is about the only close relative I have who is a writer, and a passionate one at that. And I’m very proud of her and her work. My daughter Sina was a gifted artist when she was very young but chose to do other things. My daughter Mele and my son Michael are gifted in other things. I’ve never tried deliberately to influence my siblings to be writers and artists. It’s a bloody difficult way to make a living! And if you don’t feel compelled to do it, don’t! You have to feel passionate about it. So when you fall down, you can get up again and continue writing! My granddaughter Isabella Meleane Moore is finishing her degree in Opera Singing at Victoria University. She’s a very devoted and committed singer with a wonderful voice – in my opinion. I hope she succeeds. My grandson Ashley is studying to be a designer – and that’s being an artist, I hope he makes it too. Reina and I have eight mokopuna and we hope they all have good lives in the very difficult, very complex world they live in. It’s a tough path to go, for any artist. I admire young people who give their creative passions a go and see where it takes them. You develop the courage and stamina and the ability to survive in anything! MP: I appreciate that you have shared that. Your family is wonderful and they are blessed with many gifts and talents. Upon reflection of your career and life in general, is there something that you would like to do that you haven’t had the chance yet to do so? AW: Well, I hope my mind and faculties and body remain intact for a while yet, so I can continue writing and painting and enjoying life with the friends and people I love. Despite my griping and complaining over the years, I’ve had a very privileged life. MP: I believe that you have worked extremely hard to attain your success and the continuation of your work will be undoubtedly enriching for generations to come. Now, earlier in the interview you mentioned that you are currently working on the completion of a new novel. Can you please elaborate on that? AW: I’m trying to finish the last chapter of my latest novel which I started writing in Hawaii in 2004. Finishing that chapter has been very very difficult! But once I get it done, I’ll give the whole script another thorough revision and then get it published next year, hopefully. The novel doesn’t have a title yet. MP: That is exciting indeed. Well, you seem to consistently produce great pieces of work effortlessly. Have you ever experienced ‘writer’s block’? AW: Well, I’m having great difficulty finishing the last chapter of my new novel but I don’t think it is ‘writer’s block’. It is the difficulty of choosing how to end the novel. I have to choose the best ending for it – and that is always difficult for me. I don’t think I’ve ever suffered ‘writer’s block’. When I’m stalled, I go onto doing some thing else, writing something else. When I come back, I am usually able to continue. That way, I’ve been lucky! MP: You are humble and I am inspired by that. Well, I’d like to wish you all the very best for the completion of your new novel. That is something to look forward to. Thank you so much for your time that you have put aside for this interview. I have enjoyed this interview with you and I am grateful that you have shared your thoughts and experiences. Is there anything that you would like to add for the readers? AW: Thank you for this interview Maryanne. Your questions helped me sort out my ideas and views and what I remember. I’d like to thank all the readers and people who’ve supported me over the years by buying, reading, teaching and commenting on my work. Including my large aiga and Reina and Mānoa! Thank you for your alofa and agalelei! An interesting and unique author for sure! I’ve always loved the pacific islands, and the Polynesian culture and history, the heritage that is so unique and seemingly wild and beautiful. Interesting stories to be sure will be found in his books! Thank you for visiting my blog and for also leaving your thoughts. It’s great to hear that you have always loved the Pacific Islands and its’ different cultures. It’s great to connect with you on this blogosphere. I look forward to reading more of your work. Have a fab week. Well done for all your hard work in providing this high quality blog.Thanks for sharing such a useful information. Thank you for stopping by once again. I appreciate your visit and your kind words. Have a wonderful week. Growing up in western society (typically in the U.S.) I often feel that our stories are told by ‘others” (the masses/media) which is not a true depiction of how we express our words, culture, history, language, and art. What I got from that response was not only a sense of encouragement but a true sense of responsibility to myself as an “artist”, what not to be afraid of. There are so many great things about Albert that I learned in this post and I want to read more about his work and life experiences. Albert Wendt is truly a living legend. I am inspired Maryanne. Bravo! Not only inspiring to read but uplifting to know that we can achieve if we just keep going. Albert as an artist is definitely someone I look up to – he exercises that creative blend of history and art – a man of many trades. It’s beautiful. I hope to meet him one day! Thank you again Maryanne for this. This is beautiful to hear from the artist himself. It’s great to hear from you and even moreso lovely to see how Professor Albert Wendt’s work, thoughts and experiences have inspired you in your creative journey. He is a great man whose works have influenced so many of our Pacific peoples. That is why I love featuring wonderful guests on this blog, it provides readers with a different perspective on how they go about creating and producing their works and as a result, the readers are inspired, encouraged and empowered in many different ways. It is a learning process for myself as well. Wishing you all the very best for the remainder of this year. May your creative journey continue to flourish. You have produced great images so far and I know that your photography work will continue to expand and grow. It’s awesome that you hold Professor Albert Wendt in high regard, we need more Pacific male role models such as him to continue to inspire the generations to come to think critically and to uphold our cultural values and pride. Have a wonderful week and thanks for visiting my blog. I appreciate it.